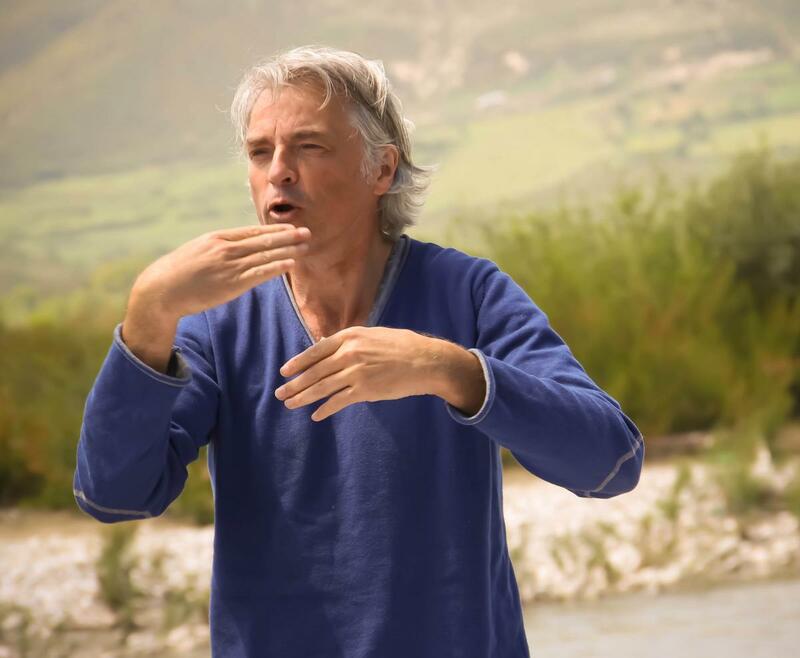 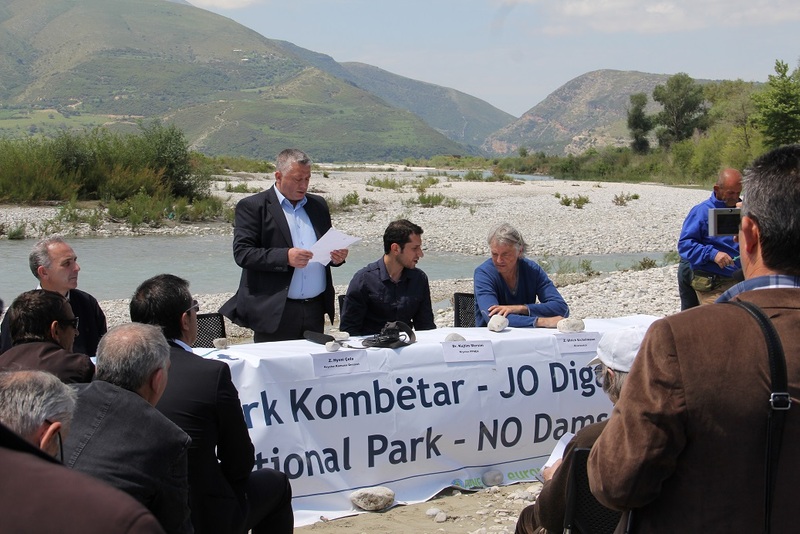 On May 8, 2014, an unusual press conference took place in Albania. 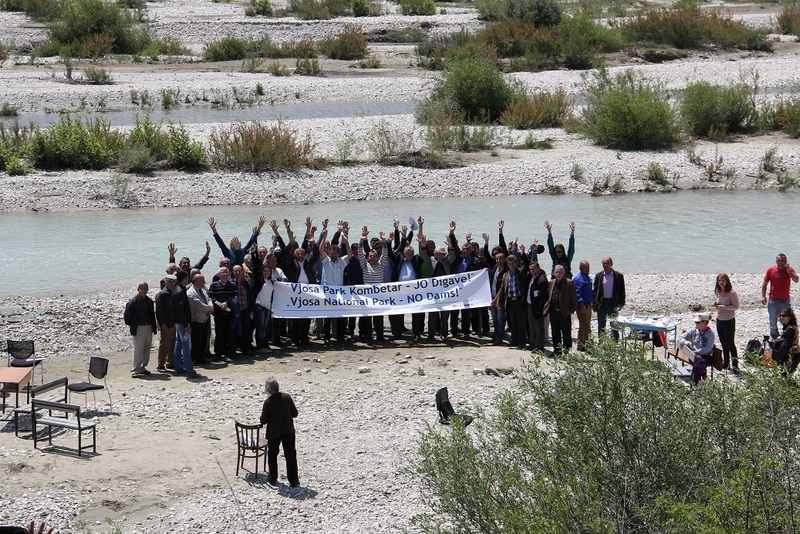 On the gravel islands of the Vjosa River – the last big wild river in Europe – representatives of international and national environmental groups came together with the local mayor and business people in order to propose an idea to save the Vjosa: plans for hydropower projects shall be abandoned and the last big wild river of Europe instead be designated as national park. 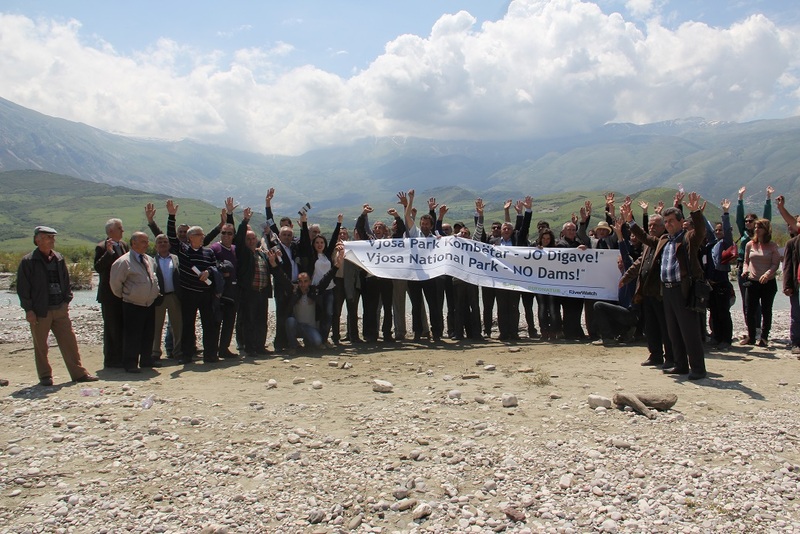 Approximately 70 people participated in the press conference, among them the mayors of the nearby cities of Qesarat, Permet, and Tepelena. 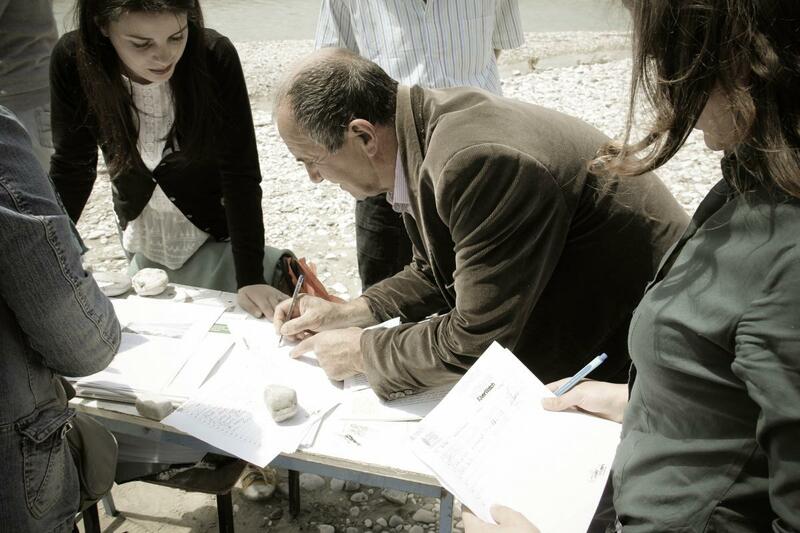 All three of them support the idea of a Vjosa National Park and oppose the projected dams.